The most simplest procedure of building a dedicated server of Don't Starve Together may be as follows. Prepare a host game to dedicate. Generate cluster_token.txt, and copy it to Cluster_1 directory. Start Don't Starve Together Dedicated Server. At first, you prepare a host game to dedicate. 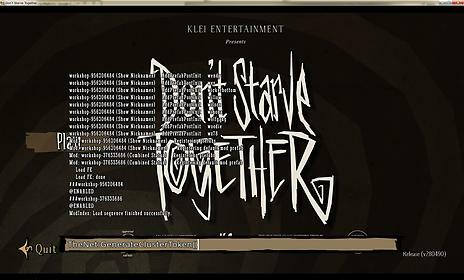 Start Don't Starve Together, and select "Host Game". 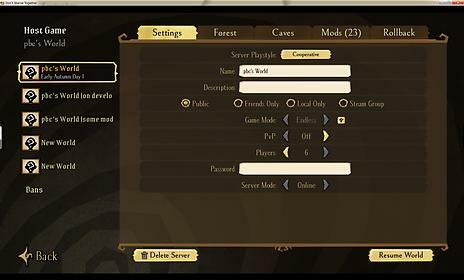 On Host Game page,You prepare a host game in the top column. This game will be dedicated. You can dedicate only the game of !!!top!!! column. You can't dedicate any games of other columns. Start Don't Starve Together, and on the top page, press "@" key. 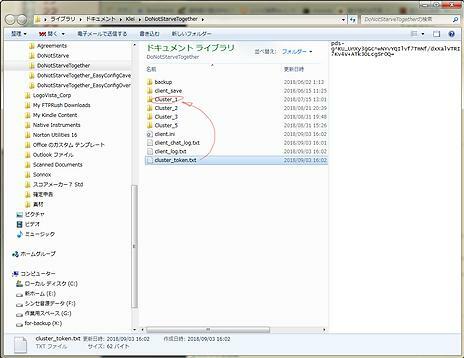 Console will be displayed. You type the following command into console. Cluster_token.txt is generated. Copy the generated cluster_token.txt to Cluster_1 directory. At last, you start Don't Starve Together Dedicated Server. Your host game of the top column will be dedicated. 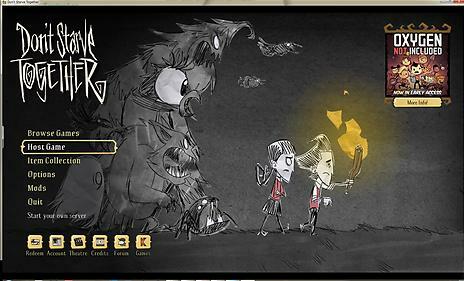 If you do not have Don't Starve Together Dedicated Server yet, you can download it from STEAM. 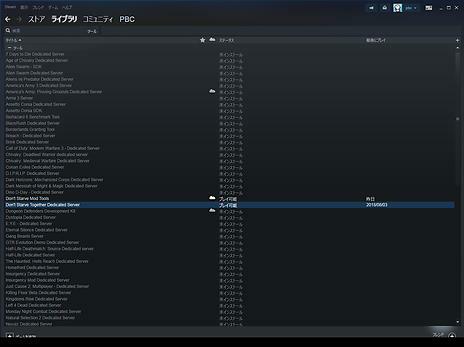 Start STEAM, and on the top page, select "LIBRARY»TOOLS". On LIBRARY page, you can download and install Don't Starve Together Dedicated Server. Although the above way is the easiest, it has some restrictions. Cave is not installed. When your host game has a cave, It is ignored. You can dedicate only the game of the top column. You can't dedicate any games of other columns. You can dedicate only 1 game at the same time. In order to dedicate your host games without restrictions, you can refer to the following web pages.